Convergence Divergence Spoilers: Omega Men #1 Sneak Peek: Post-Convergence Green-White Lantern Kyle Rayner Does NOT Die As DC Comics Teased?! The post-Convergence DC Comics universe and core super-hero publications, starting in June 2015, gets some sneak peeks in May 2015 Convergence mini-series. 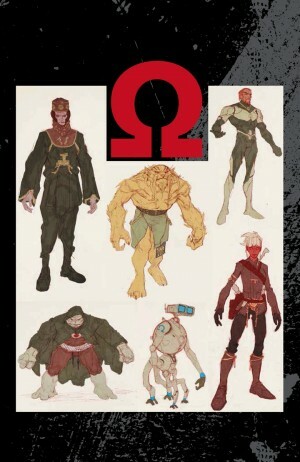 They will occupy the back-part of each Convergence two-shots and total 8 pages. All sneak peeks and which book they are in. All DC Comics June 2015 series. 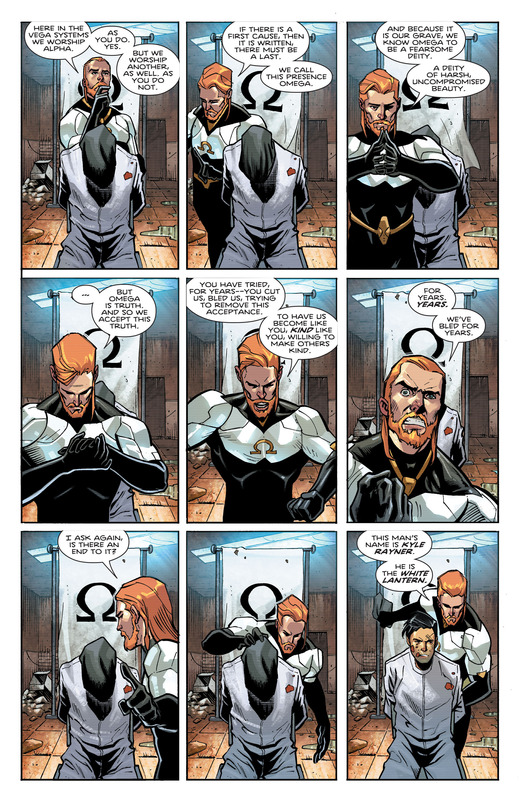 In this week’s Convergence: Batman and Robin #2, we get a sneak peek at Omega Men #1. While the pages have been teased as not an excerpt, but new, it appears these are lead-in pages to DC Comics’ June 2015 Omega Men #1 not actual pages from the issue. We’ll know for sure next month. In the back part of Convergence: Batman and Robin #2, we see what the much hyped fate of Kyle Rayner, former Green Lantern and current White Lantern, is. 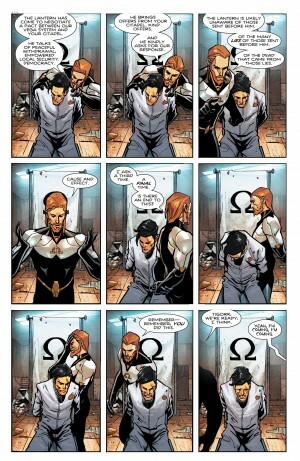 However, DC Comics appears to have spoiled the fate of Kyle Rayner which is different than we’ve been led to believe! DC teased something that may not be true? Whaaa…. Say it ain’t so. 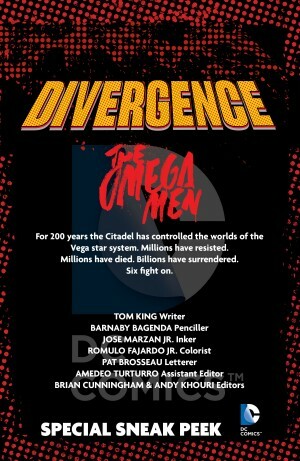 Divergence and Convergence Spoilers follow. Green / White Lantern Kyle Rayner has been teased to die in the solicitation for Omega Men #1. It does “appear” to be an on-panel death…. ….or does it? Some possible holes here…. 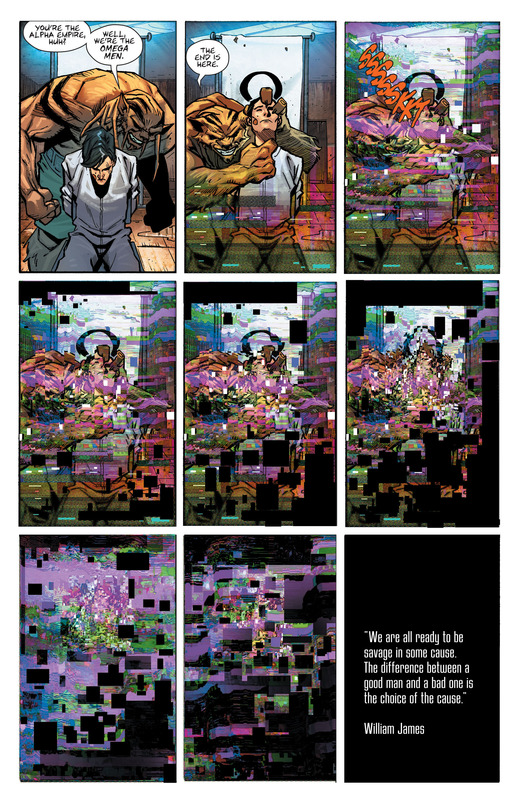 ….I can’t image DC Comics just killed Kyle Rayner. 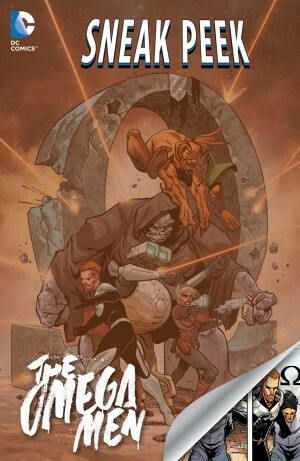 What seems more likely is that Kyle Rayner’s death has been faked and he will be a core member of the Omega Men in their series. 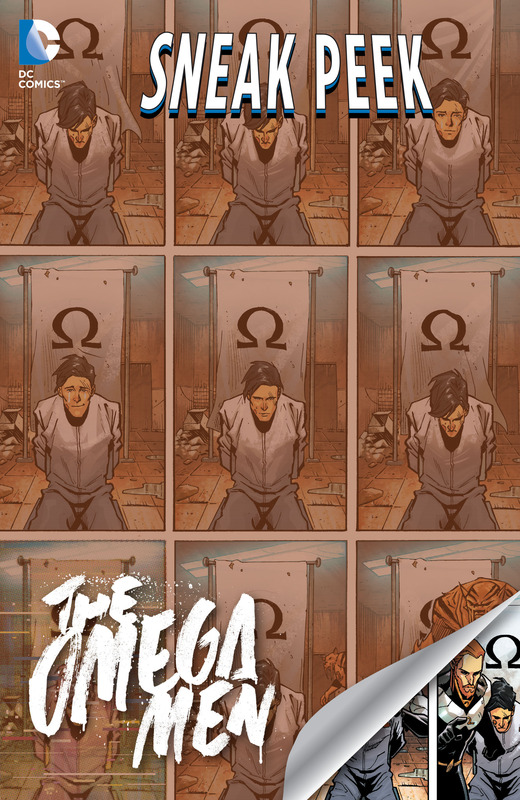 The cover to the Omega Men #1, the first page at the above this article, but obscured shows 5 Omega Men. The opening page of narrative above, third page in this article, talks about 6 fighting the Citadel; inference is 6 Omega Men. 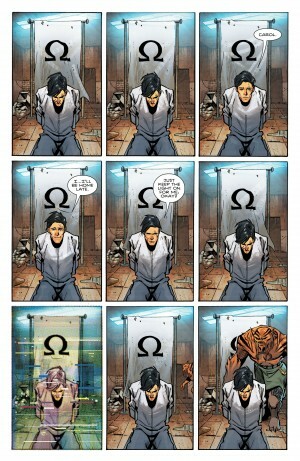 So, it appears Kyle Rayner joins the Omega Men! Fear not, he’s not dead! Is the top left individual, Kyle Rayner in disguise? That’s one of the pieces of art DC Comics released with their June 2015 solicitations. That top left character isn’t on the cover teased in first image in this piece. Hmmm.